This is another article about the iPad. If you don’t like awesome stuff, stop reading. If you refuse to use Apple products, you probably already stopped reading, but anyway… If you refuse to use Apple products you won’t get to enjoy this awesomeness, so you might as well not get your hopes up and move along. Pete and I know we want an iPad. We also know we don’t need one. But maybe we DO need one. I mean, it would almost be wrong for us to not buy the next greatest Apple product since Apple is responsible for our future baby-making. Back on track – we know we want an iPad. So we went to check it out. See if it was really as awesome as they say. We ended up playing games on it the entire time we were in the store. My game of choice was Plants Vs. Zombies by PopCap. I wouldn’t leave the store until I completed a level. And since it was a version made for the iPad, it was AWESOME. Knowing that we will eventually get an iPad, I was stubborn and said I would not download the app for my iPhone because it was a waste of money since I will need to re-buy it for the iPad. (Look Mom, I am concerned about spending $3!) Sorry, that didn’t last too long. By 11pm that night I was in bed downloading the game to my iPhone. I had to have it. I just need to tell you that the game is super addictive and super awesome. It is completely worth the $3. There is definite strategy involved, and with “Achievements” there is absolute replay value after completing Adventure Mode successfully. Replay value on a $3 game is clearly important. Just like my first adventures into Gossip Girl, this game has kept me up far past exhaustion, because I just have to know what’s next! And it isn’t just me, Pete beat adventure mode like a day after I downloaded it. 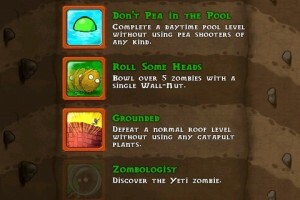 If you want to actually know anything about the game, let’s just say, the plants keep the zombies out of your house, and bacon is involved. I feel this way about almost all PopCap games though. Peggle on the xBox could have a whole separate post…. 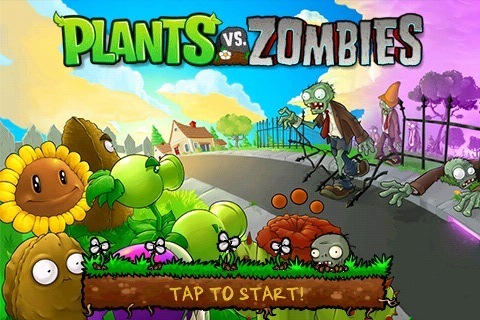 I never thought I would get into using my iPhone for games. After one visit to the Apple Store, I KNOW I would be using the iPad for mostly gaming. Games, and I think it would be ultra-handy for recipes in the kitchen. So, like I said…this was really a post about the iPad. Thriller zombie cracks me up every time. Ryan, Thiller zombie and the bobsled team are great! This game has an awesome soundtrack too. Angie, I’m surprised you didn’t mention it since you’ve been humming some of the songs around the apartment. How do you use the bacon bought from Crazy Dave? I see in your screenshot that you have a bacon among the plants. Not sure if it’s the same for the iPhone and iPad version, but for my iPad one, I couldn’t figure out how to use the bacon after trying for weeks. Am I missing something obvious? I don’t think the iPad version is much different in terms of bacon. The bacon appears at the end of a level, like new plants, bags of money, etc. Dave takes the bacon that you “found” and gives you a new ability. The bacon goes away as quickly as it came, but if you are paying attention to all the screens, and like bacon, it is hilarious. Thanks for the answer, I mustn’t pay attention then. In the iPad version, you can buy bacon in the shop ($500 each), but it doesn’t do anything useful at all. Thought it was some kind of easter egg. We have to try the iPad version to see exactly what the deal is with this bacon. It’s not in the shop on the iPhone version. 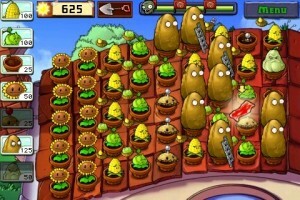 PvZ is also being released for the XBox Live Arcade on September 8th, 2010. Mark your calendars. 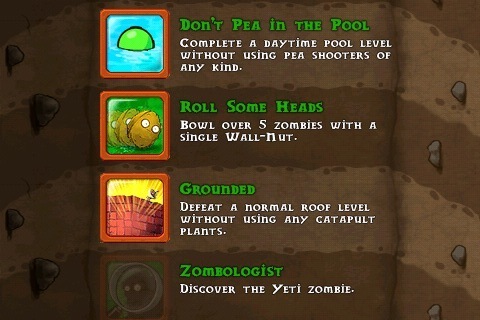 I would pick Zombies over sleep any time. I loath the freemium model and EA. EA keeps buying up little independent developers like Firemint and Popcap and then destroying great games. Real Racing 3 is just a complete tragedy and I think PvZ 2 will be more of the same. The worst part, it is all the result of excessive unbridled greed. I don’t mind paying for great games but out of principle I refuse to spend anything on freemium content or give any of it to EA, I’m trying to send a message with my dollars.